Many writers are. We sit alone at a computer for hours, and when it comes time to step out into a world teeming with people, we clam up and desperately yearn to crawl back inside where it feels safe. The thing is, our stories won’t get into the hands of readers if we don’t engage with other human beings. When I first became published four years ago, my publisher encouraged authors to have book signings to help market books to the public. At first this seemed terrifying, as I become quite nervous in front of people, but I wanted to sell books to readers so I dove right in. It’s time for a little bit of reality. That’s six downloads. Not much, right? 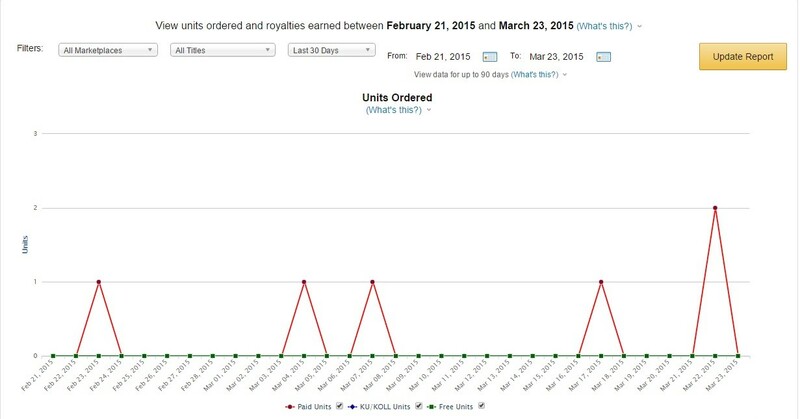 But what this doesn’t show is the 36 books I sold in that same time frame outside the internet. I sold six times the amount of books by engaging with people in person, and actually, at least one of these downloads came from someone I talked to at a book signing. Three of these downloads occurred on days when I had signings. I’ve previously written posts on how to set up a book signing and how to have a successful event, so I won’t go into too much detail here. But here are some basic tips for those interested in setting up events of their own. Most of my signings are at coffee shops, though I’ve recently had several at Half Price Books. Find places that get lots of traffic to increase your chances of meeting readers. When you call a venue, introduce yourself and explain that you’re a local author who is curious as to whether or not the venue would be willing to host a book signing. Some venues will turn you down, and that’s okay. Be polite to everyone you talk to, even if you are rejected. If a venue agrees to host a signing for you, be sure to thank them. I always have a card table stashed in my trunk just in case the venue doesn’t have an extra table available. I bring a tablecloth, some doilies, book stands, bookmarks, business cards, permanent markers, and books, of course! Bring enough books to have on hand, but don’t bring so many that you break your back hauling them in. The most books I’ve ever sold at one signing is 13, so I typically bring about 20-22 copies of my various paperbacks to have on display. So bring whatever amount you think will be best for you. I’m not the best conversationalist, but I do greet people as they walk by. Ideally, you should set up near the door so everyone sees you as they walk in, but depending on the layout of the venue, this might not always be possible. If someone approaches you, ask them if they are a reader, and if so, what they like to read. Get a conversation going! Whatever you do, don’t sit there mutely like a bump on a log. Being polite is so important when building a name for yourself. Too many authors have gone into public fits of rage, effectively damaging their reputations. Don’t be those authors. Be approachable and friendly. If someone purchases your book, thank them and wish them a nice day. When your event is over, thank the venue for letting you be there. They will probably even let you come back for future events! It’s important to remember that events like these help you build an audience. Don’t be disappointed if you only sell one or two books per event. A loyal group of readers can be built one reader at a time. J.S. Bailey pens supernatural suspense novels from her home near Cincinnati. Her third novel, Servant, is the first novel of The Chronicles of Servitude, a new series involving people who have such powerful spiritual gifts that they’re almost like super powers. 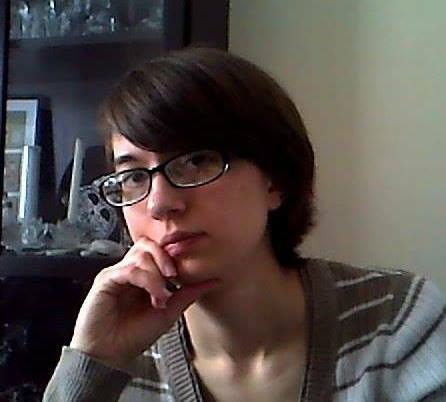 She is a member of Read Write Muse and invites you to learn more about her stories at www.jsbaileywrites.com. That is soooo brave Leanne! Good on you! Thanks for dropping by, Leanne! Since I’ve had so many events, I’m much more confident in front of people, though people do still terrify me to some extent. 😉 I also find it’s easier to actually admit to people that I’m socially awkward. Somehow that takes a lot of the pressure off of me. I think you are very brave! I don’t sing, and I think someone would have to pay me about a trillion dollars to sing in front of others!